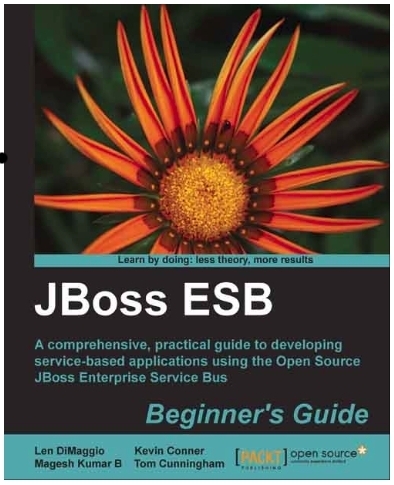 Packt, the folks publishing the JBoss ESB Begineers' Guide later on this month, have a new survey for JBoss users and books. Packt is overseeing a community survey for JBoss users to find out what support they need to aid and enhance their JBoss experience. Packt want to make sure they are making the right offers to all JBoss users and are providing what they need and want. The survey is about all of JBoss projects (Drools, AS, jBPM and more). The questions will help to provide a snapshot of how the community finds support, how they self-educate, help each other and what information they need now. As Packt think the results will be of genuine interest to the JBoss community, the results of the survey will be published.